Designers Fountain Outdoor 2071-WH Oval Bulkhead with Guard | Fountain City Art Ctr. 1-light bulkhead with guard. Beautiful nautical style. 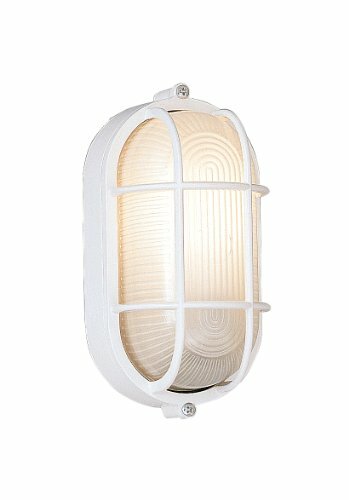 White finish with ribbed frosted glass shade. Requires (1) 60W medium base bulb (not included). Dimensions: 4.25L x 5W x 8.5H inches.